Each working in Mosul's Old City has been crushed by eight months of grisly battling as Iraqi troops at long last attempt to wipe out Islamic State contenders. More than 1,000 fear mongers – many frightfully harmed – still hold a steadily moving region the span of two football contributes a battle until the very end. 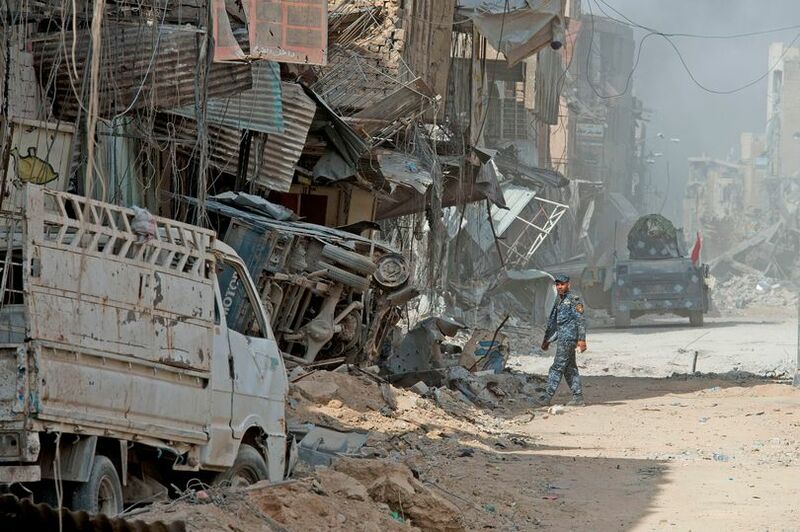 The al-Nouri Mosque where IS pro­­claimed the supposed caliphate in 2014 lies in ruins as battling seethes close by. Today picture taker Rowan Griffiths and I joined Iraq's Golden Division extraordinary strengths as they confronted floods of alarming counter-assaults.